Disneyland Paris will host major recruitment events in Cardiff and London and is planning to interview 1,000 candidates for roles in its Paris theme park. As part of the largest recruitment drive the company has held in the UK, the recruitment days will enable potential candidates to find out more about job opportunities at Disneyland Paris and apply for permanent, short term and seasonal positions in a variety of roles including guest services, food and beverage, sales and attractions. The London event, on the 25th and 26th October, will be held at the Hilton London Metropole from 10am each day, while the Cardiff event will be at City Hall from 10am on the 27th. These events are the start of a major European recruitment drive designed to fill 6000 job opportunities for 2011. With more than 14,000 employees, from over 100 nations (countries or nationalities) Disneyland Paris offers opportunities in more than 500 vocations. British employees represent a significant portion of professionals working for Disneyland Paris with the third highest number of employees after France and Italy. In 2009 Disneyland Paris launched an online recruitment site http://www.disneylandparis-casting.com/ in order to raise awareness of the diversity and breadth of employment opportunities. Disneyland Paris seeks quality candidates who believe in the company ethos of service excellence. Benefits included the reimbursement of travel costs (up to a certain value) and reduced rent within staff accommodation. Epic Mickey is a new game for the Nintendo Wii being released this November, published by Disney Interactive Studios and developed by Junction Point Studios. I think you will enjoy this video for the game. Here is the new teaser trailer for Disney Pixar’s sequel, Cars 2, due for release in 2011. The film stars Owen Wilson as race car Lightning McQueen who, with his friend Mater as pit boss, tackles his biggest challenge yet — the first Race of Champions! The two set off across the globe in pursuit of a win — and encounter a world of intrigue and mystery along the way! Traveling through England, Japan, France, Italy, and Germany, McQueen and Mater get caught in a spy story only Disney Pixar could dream up. 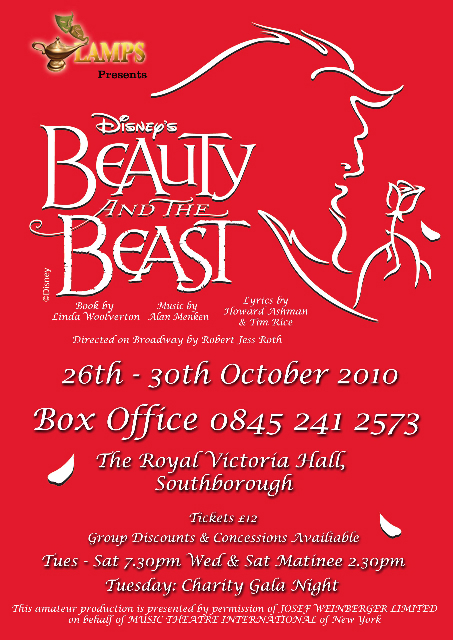 The Disney Classic and West End spectacular will be coming to Southborough’s Royal Victoria Hall in Kent between 26th to 30th October. 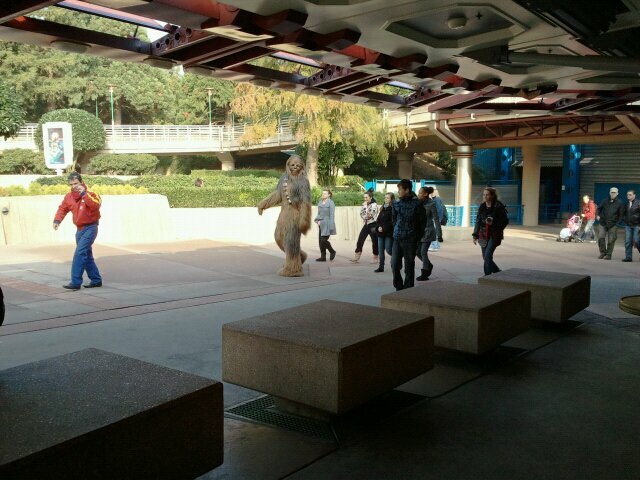 Look who was spotted walking around Discoveryland at Disneyland Paris this week, yep its Chewbacca from Star Wars. 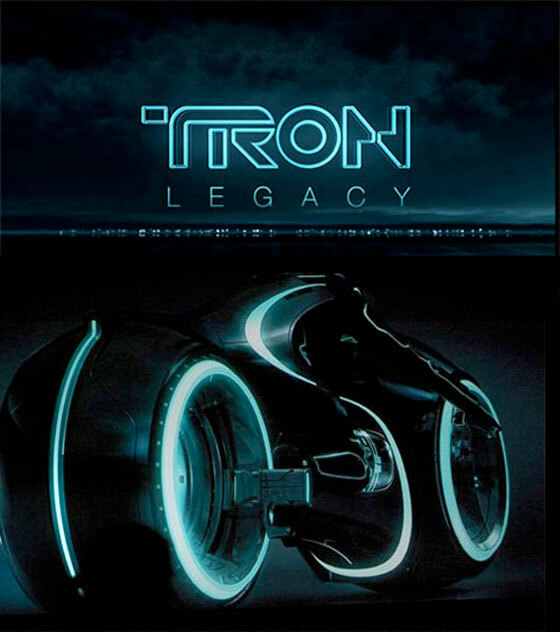 TRON Night: 3D and IMAX Experience, is a special event being held on the 28th October 2010, that will give audiences worldwide the first opportunity to step onto the Grid and into the cutting-edge, 3D world of Walt Disney Pictures’ high-tech adventure TRON: Legacy. Free tickets for this 20-plus-minute sneak peek of the highly anticipated film are avilable at Disney Screenings. Enter the password legacy to get your hands on the free tickets. Here is a list of the cinemas in the UK hosting the previews. 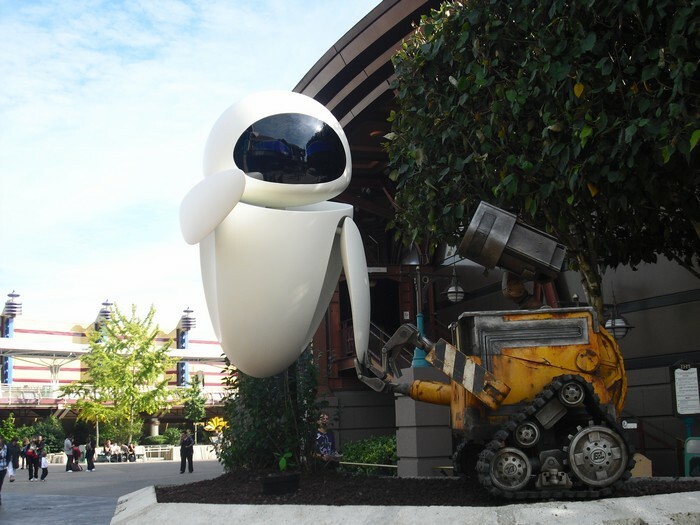 WALL•E and EVE have arrived outside the Videopolis in Discoveryland at Disneyland Paris last week. They can be found near the entrance to Arcade Alpha & Arcade Beta.